When Black Lives Matter activist DeRay Mckesson poses this question to me, I feel like telling him the only correct answer to such a traumatizing notion is “never.” But he and I both know life, and policing as we know it, aren’t that simple. Mckesson’s question goes to the heart of a movement that began six years ago as the country grappled with the highly publicized and often videotaped killings of African Americans by police — and in the 2012 fatal shooting of 17-year-old Trayvon Martin by a self-appointed neighborhood watchman. 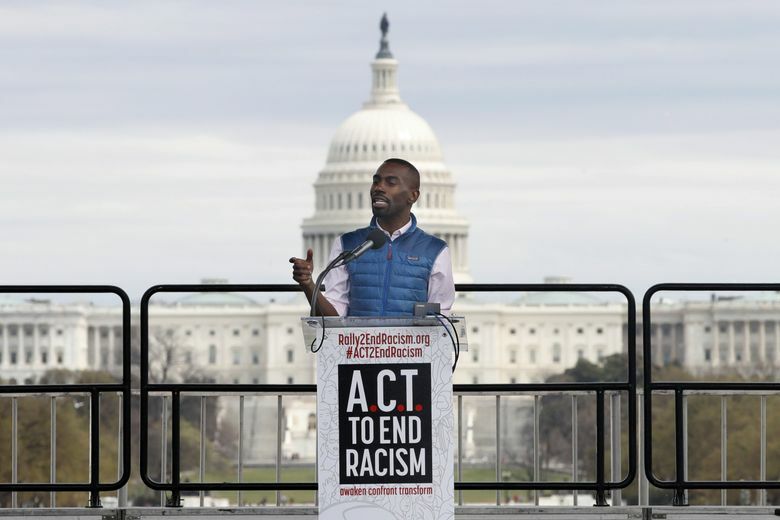 Wearing his trademark blue vest, the 33-year-old former school administrator has become one of the most recognizable civil-rights figures of the social-media age, organizing protests against police excessive use of force, calling for reform in the way communities approach policing, setting detractors straight on Twitter, on stage and in TV interviews and hosting his “Pod Save the People” podcast. Rising from a whirlwind of protests against police-involved killings in the St. Louis suburb of Ferguson, in Baltimore, in Charleston, in Dallas and beyond, Mckesson seems to have found his calling. He’s scheduled to be in town Friday to talk about his work and his new book, “On the Other Side of Freedom: The Case for Hope” (Viking, $25). The book is a beautifully written memoir of sorts but also a guide for budding activists. Mckesson is clearly inspired by the potential to build what he calls a “big choir” of activists that will push for lasting change in policing in their own communities. We in the Seattle area are no strangers to the outrage and goals of the Black Lives Matter movement. The fatal police shooting of Charleena Lyles, a pregnant single mother, in her own Sand Point apartment last year sparked an outpouring of grief, protest and demands for reform. The recent hiring of Seattle Police Chief Carmen Best, a reformer who has worked to build trust with marginalized communities, comes as the city remains subject to a 2012 federal consent decree aimed at combating excessive use of force and biased policing. “Four years ago, we were painted as these wild kids in the streets,” Mckesson tells me. Nobody knew what the widely televised protests and sometimes chaotic confrontations with authorities in Ferguson would lead to. “What is true about all of us in St. Louis is we walked into the risk,” he says. That was the summer of 2014. Mckesson drove from Minneapolis, where he lived at the time, to Ferguson, thinking he’d spend a few days joining the demonstrations over the fatal police shooting of Michael Brown. He would stay for 400. There and in other cities, he’d discover the noble defiance of sit-ins, the burn of pepper spray, the terror of smoke grenades and the ache of rubber bullets. He’d have to get used to death threats and visits to his home by the FBI. He’d learn on-the-fly how to be a national civil-rights leader. He’d even run for mayor of Baltimore, where he lives now. “It wasn’t until after I’d traveled, until after that initial wave of protest, that I realized that people had watched everything we’d done,” Mckesson says. The movement could’ve fizzled. Instead, it sparked a national conversation about how to reinvent an institution that has been considered sacred, untouchable, in our country — the police. Perhaps the greatest contribution to date from Mckesson and his collaborators to date is the creation of the first comprehensive study of police killings in America’s biggest 100 cities — Mapping Police Violence. 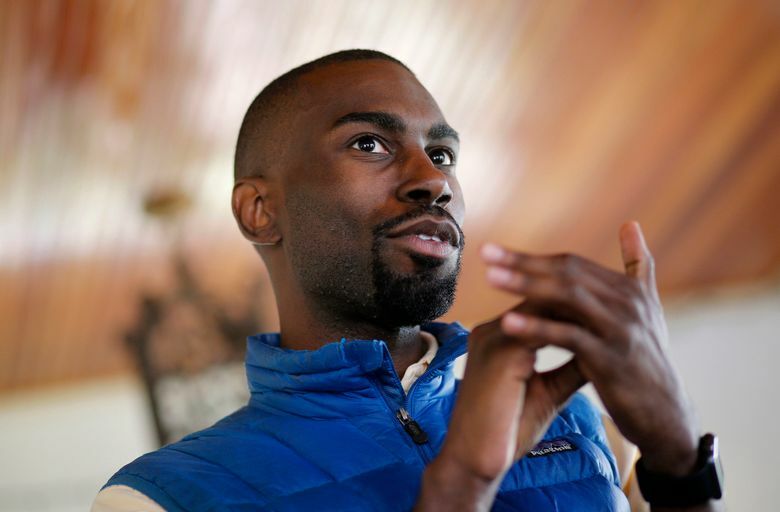 Mckesson and his group already knew that African Americans are disproportionately affected by police violence and more likely to be unarmed when killed. They knew that in nearly 100 percent of cases, officers involved in fatal violence are not criminally charged. Their data crunching, done despite a stunning lack of official numbers on police killings from police departments themselves, turned up other stark findings. For 2015, they found that in 14 major cities, the only people killed by police were black. Fatal police violence was also a problem in places where high crime was not an issue, dispelling the notion that police must use harsher tactics in some areas to keep the peace. They also found that where communities rose up against police violence, tensions had been simmering long before. “In each case, we had the data to show a pattern of racism and police violence in that city to help people understand that this was a systemic problem, and that these were not isolated incidents,” Mckesson writes. Still, “tearing down all of the bad stuff is not the same as building the good stuff,” he tells me. We have choices to make. We can’t keep expressing shock over videos of questionable police shootings and going back to our normal routines. Mckesson says he’s confident that a watershed moment is on the horizon. “Accountability is a response to trauma,” usually in the form of consequences for people and institutions that violate a community’s trust, he says. Correction: Trayvon Martin, 17, was shot in 2012 by a self-appointed neighborhood watchman. Due to an editing error, an earlier version of this column omitted a word, making it seem as though Martin was the watchman.